Since our consumption of carbohydrates has increased, so has our cravings for sugar. To put it in non-medical, and easy to understand terms, carbohydrates convert to sugar, and when these ‘sugars’ are not burned off, they are stored as fat. 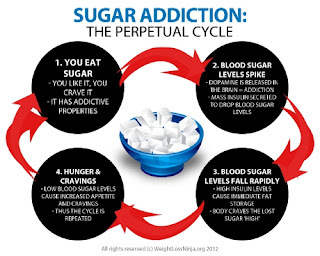 Our bodies are in constant battle with sugar over load spikes and then crashing rock hard bottom. High blood sugar levels drive hunger and craving for more carbohydrates and/or sugar. However, there are some easy steps you can begin to take to help regulate these spikes and dips. CINNAMON. Cinnamon helps prevent your craving for sugar. It improves your cell’s ability to metabolize glucose. Simply put, it keep your metabolism working by decreasing your bodies cravings/need for sugar. All you need is to consume 1 – 2 tsp. every day, preferably in the morning since this will help set up your fat burning furnace for the entire day. I like to add it to my Greek Yogurt or Oatmeal I have in the morning. If you are a coffee drinker, add it to your morning cup of coffee. Remember though, it doesn’t stop here. Talking about consuming a balance of Carbohydrates, Proteins, and Fats at every meal and snack is for another blog. By the way, have you began adding more movement/exercise to your weekly schedule. If you answered YES I’m proud of you as you should also be, however, if you answered NO, then schedule time by placing it into your calendar to make sure you are including it?! Oh, I almost forgot, when you go out to purchase some cinnamon this weekend, please make sure to check ingredients. 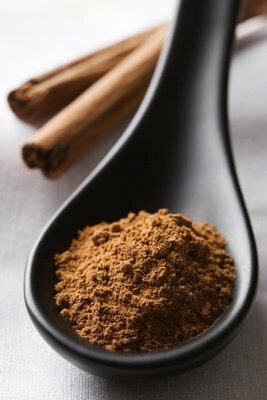 Did you know some manufactures add Hydrogenated or Partially Hydrogenated Oil to the cinnamon. THESE ARE UNHEALTHY FATS THAT LEAD TO CLOGGED ARTERIES!! I LOVE CINNAMON! _ we use it as a way to safely chase-away a cold (I am expecting, and would normally use Thieves Oil, Oil of Oregano… but those are off limits for a pregnant lady) I use 1/2 tps of raw, unprocessed local honey and 1/4 tsp of cinnamon, cream together on spoon, and allow to melt in my mouth. I do this about 6 times/day with warm water as a chaser. TOTALLY WORKS FOR ME! Smart thnniikg – a clever way of looking at it. Great Post! I love cinnamon too but don’t think about adding it often enough. Thanks for the tip on what to look out for when buying cinnamon. I’m happy you have read my blog and appreciatethe tip. Enjoy your cinnamon!